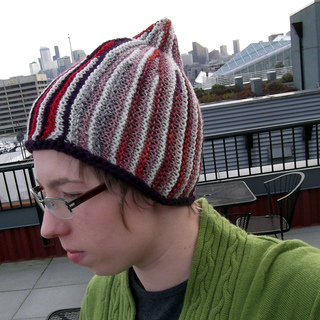 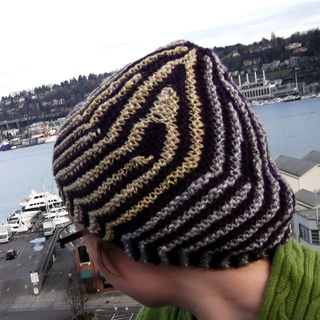 Sideways knit hats are an amusing knitting project and are easy to carry along since you only need one set of needles (no double pointed needles required!). 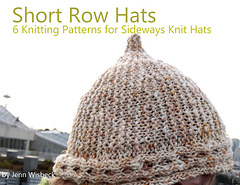 Shaping comes from short rows to shape the top of the hat. 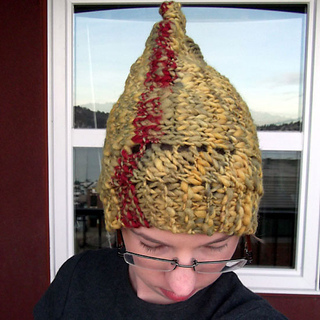 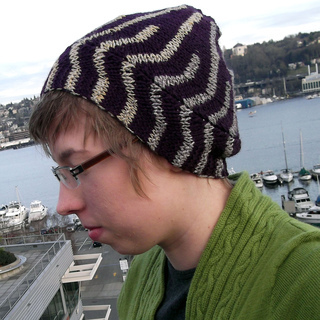 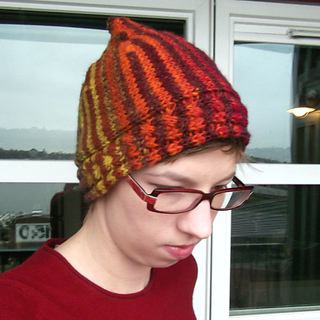 The hats have a variety of brims and stitch patterns- from curving garter stitch to cabled borders. 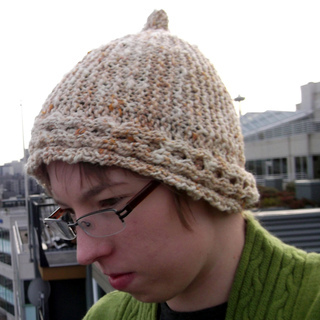 The knitting patterns are in a variety of yarn weights- from DK to bulky.